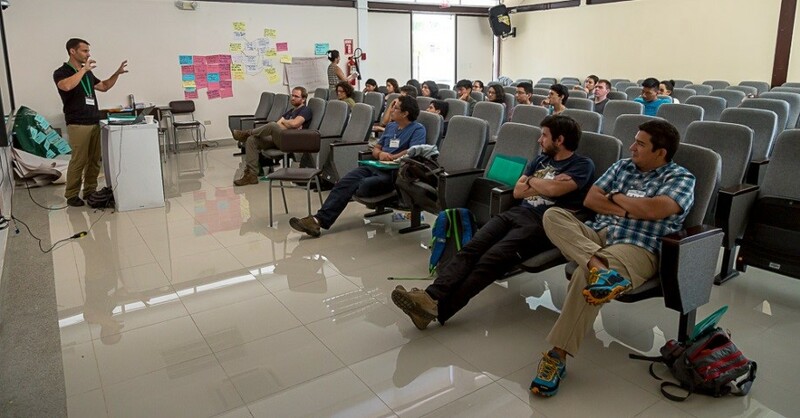 In July 2017, CCNet Coach Andrew Bridges (Institute for Wildlife Studies) conducted an introductory Open Standards training workshop at the IKIAM Universidad Regional Amazónica in Tena, Ecuador, for faculty, staff, and undergraduates as well as biologists from WWF-Ecuador. The class formed breakout groups to work through the Open Standards steps using real-world projects ranging from managing white-lipped peccary to conserving moretales plants, a regional keystone species called the Mauritia flexuosa palm by Ecuadorians. Dr. Jorge Celi of IKIAM University organized the workshop, and WWF-Ecuador donated supplies and refreshments for the event. This winter, we will be conducting a more in-depth practitioner training workshop on February 27 through March 1, 2018, at the beautiful Welder Wildlife Foundation Refuge located near Corpus Christi, Texas. The workshop is open to everyone, but space is limited. For additional details and registration information, see our announcement or contact Andrew Bridges.